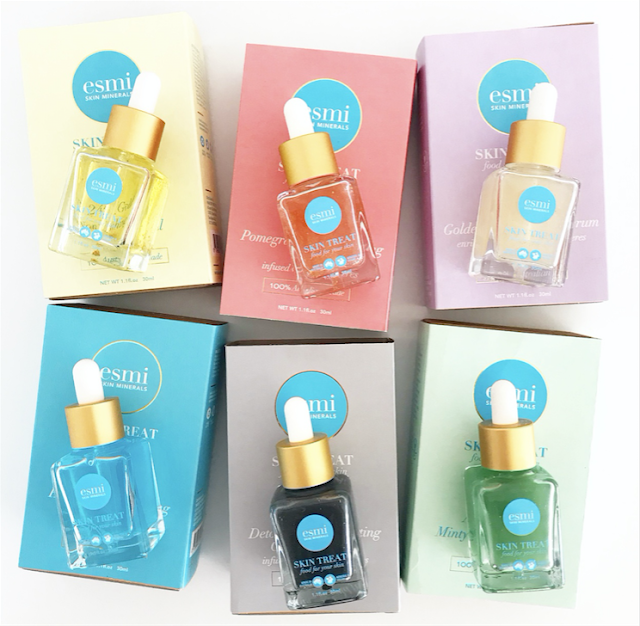 Esmi is a boutique Australian owned and made products range that's catered exclusively to feed the skin with the necessary vitamins and nutrients. I looked to trial and test out three new skin treatments featuring Esmi's Detoxifying Exfoliator, Pigment Brightener and an Anti-redness treatment. These newbies join their popular selling Hyaluronic Hydrator, 24K Gold Nourishing Oil and Anti-Ageing serum. Esmi defines their Skin Treat, as a highly concentrated serum that looks to treat one specific skin concern such as brightness, redness and full looking skin. 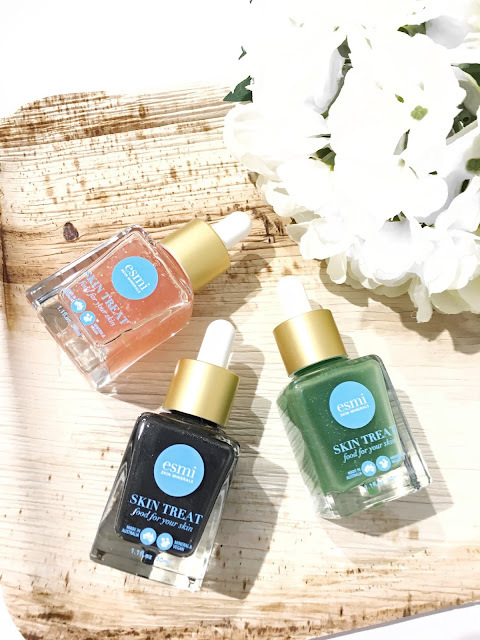 Prior to trying these skin serums out, I was definitely curious to see whether it would look to tackle some of my skin concerns being dull looking skin, the occasional redness as well as dry and flaky skin. All of the products as mentioned below are available via Esmi's official website here. 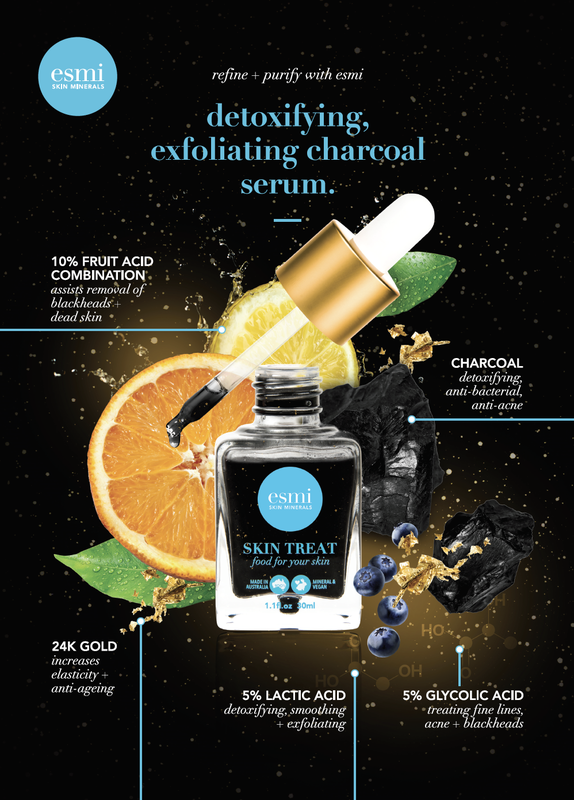 With continued use, this Charcoal Serum works to gentle exfoliate the skin leaving it feeling smoother and softer. How it works is that it looks to draw out any impurities from deep under the skin, decreasing the appearance of blackheads and clogged pores. Essentially, this boosts the effectiveness of using other skincare products as you're actually refining the skin, and allowing other products to absorb better. If you suffer from redness and dry looking skin, the Anti-Redness Minty Green Smoothie may be your best bet. It's perfect for those who do undergo laser skin treatments as it helps to fight redness and hydrate the skin once again. Any puffiness is instantly reduced so it feels more plump and healthy looking again. This serum is very lightweight which makes it easier to use on the skin. It doesn't look to clog the pores and it has a really nice minty aroma to it. 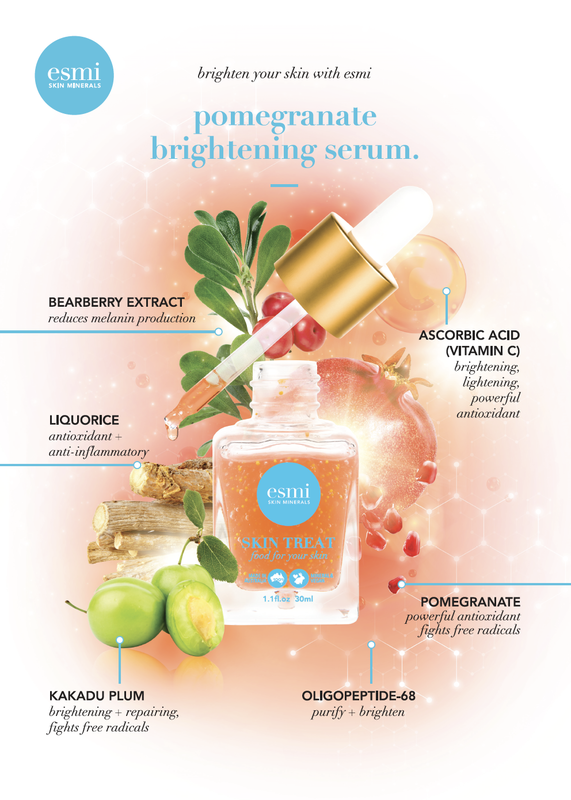 The Pomegranate Brightening Serum is infused with Q10 Spheres which boosts more energy to your skin leaving it feeling healthier and looking much brighter. It also has some skin lightening peptides which helps to brighten up your appearance for that glowing look. All of the ingredients contained in the serum are suitable for all skin types out there. Ideally, I would be using this serum to brighten up my skin's appearance and also to tone my skin. 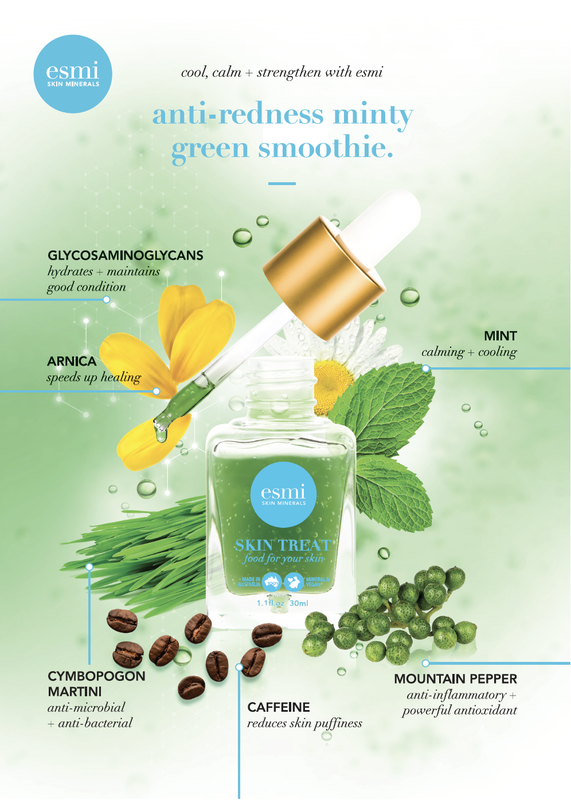 Have you tried any of the products by esmi before?